Over the last few weeks, I’ve been experimenting with a new flour – semolina. 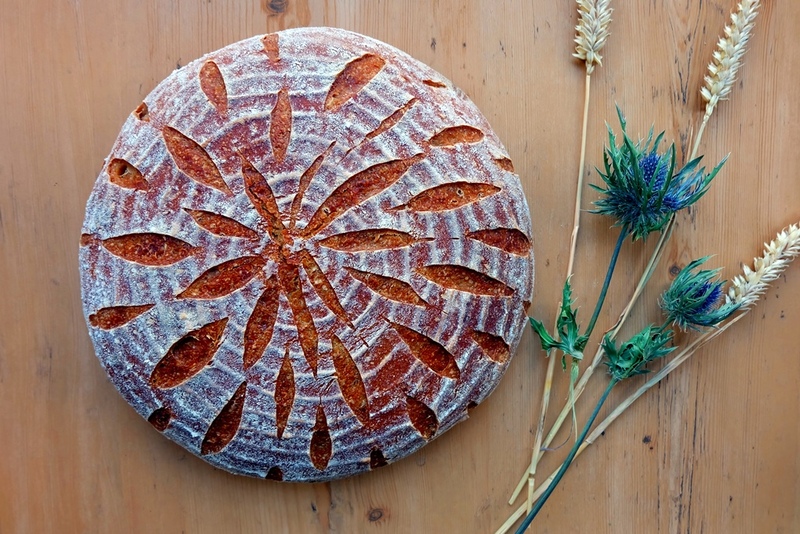 Its characteristics make it the perfect bread ingredient for a coarser, more textured bread. 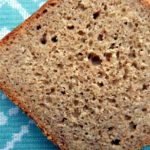 Semolina bread is a robust accompaniment for soups and salads – just in time for the spring greens entering my kitchen. My semolina bread recipe uses small amounts of wholegrain flour to enhance the flavour profile as well as toasted sesame seeds. Semolina is a type of flour made from durum wheat (triticum turgidum l. var. durum) i.e. it’s the ground endosperm of durum wheat. Durum wheat’s particular quality is that the floury material in the middle of the grain does not immediately reduce to a powder when milled; it holds together in granular lumps of sandy coarseness. This can be further milled to a fine flour, but is often used as it comes. It is pale yellow in colour. Semolina is grainier than standard wheat flour. Semolina is available as coarse, medium or fine flour, based on the size of the grains. Fine semolina flour is used to make pasta. Noodles made from semolina hold their shape well, and have a firm texture. Dough made with semolina is coherent but not very stretchy. Coarse semolina is also used to make couscous. In South India, semolina is used to make foods like dosa and upma. In Germany and Austria semolina is known as Grieß. 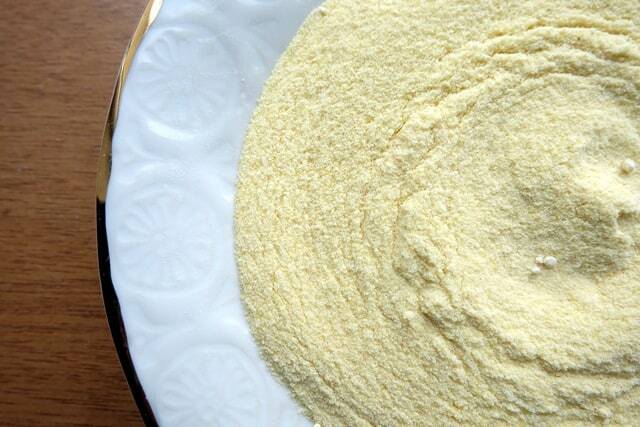 Semolina and polenta – though similar in texture – are quite different. The former is derived from the wheat berry, and the latter from cornmeal. As a rule of thumb, fine semolina flour is preferred over coarse semolina for bread making. The coarse grains in semolina have a puncturing effect on the dough, adversely affecting dough strength and bread volume. However, it can produce a surprisingly smooth and extensible dough. A high percentage of semolina flour gives bread a soft golden colour. Semolina (farina di semola rimacinata) is an essential ingredient in Italian-Sicilian bread baking and also used frequently in Moroccan bread baking e.g. for khobz dyal smida or pan-fried harcha bread. You will find semolina in most well-stocked supermarkets or health food stores. My online store of choice here in the UK is BuyWholefoodsOnline.co.uk. 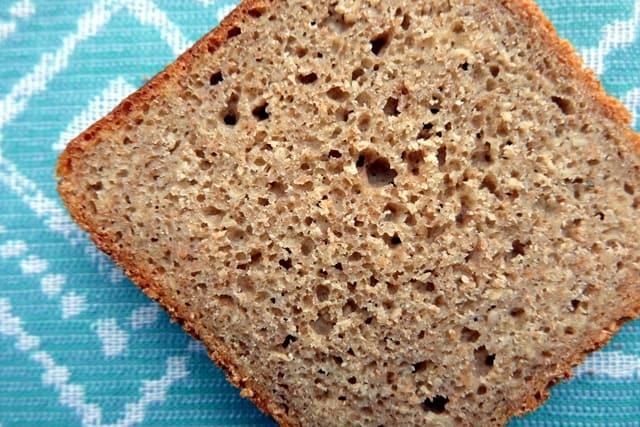 My semolina bread recipe below uses my existing sourdough starter to raise the bread. 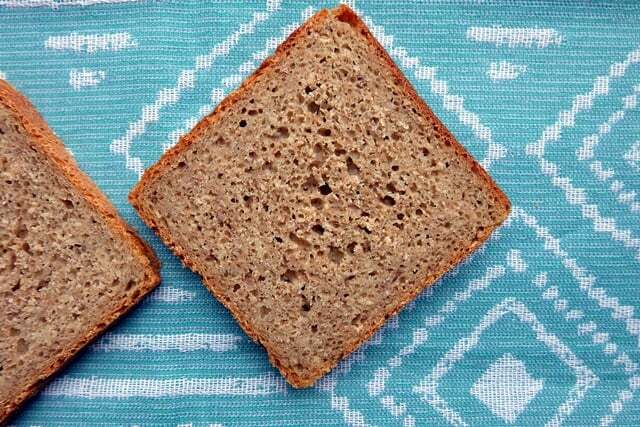 I’ve combined fine semolina flour with portions of wholegrain wheat and wholegrain rye flour to enhance the overall flavour profile. Fennel seeds are often used in semolina bread baking, as are sesame seeds and I’ve decided to add sesame seeds into my recipe. A light toasting of the seeds adds even more flavour. Bake this delicious sesame semolina bread as a perfect side for spring and summer salads. On day 1, refresh your sourdough starter by combining 50g wholemeal flour, 50g wholegrain rye flour and 100g water with your sourdough starter. On day 2, lightly toast the sesame seeds, then combine 200g of the refreshed sourdough starter from day 1 with the main dough ingredients in a large bowl. Combine well to form a dough and knead for 10 minutes on a clean work surface. Place the dough back into the bowl to rest for 1 hour at room temperature. Give the dough another thorough knead, then shape and place into a large, lightly oiled loaf tin. Leave to rest and rise until fully proven. Preheat the oven to 220°C in time for baking, then bake for 10 minutes at 220°C before turning down the temperature to 180°C for another 50 minutes.